The development off Flatlands Ave. is home is home to 233 first-time homeowners who won the right to live there via lottery. Spring Creek Nehemiah is East New York is one of the city’s great housing success stories. Already, 233 first-time owners have moved into these well-designed townhomes. Linda Boyce says it happens all the time. People turn off Flatlands Ave. in East New York, Brooklyn, and slowly cruise Linwood, Vandalia, and Egan Sts. They look around, admiring multi-colored boxy houses with big backyards, private driveways, and patches of front gardens. In what is the city’s newest neighborhood, Spring Creek Nehemiah (as residents call it) is home to 233 first-time homeowners who won the right to live at Nehemiah in a lottery sponsored by the city’s Department of Housing Preservation and Development, a major partner in the project. They applied to the lottery more than five years ago, some as many as 17 years back. Soon, 50 new owners will move in. Five parks, a supermarket and EMS station will be finished upon plan completion. From left, proud Nehemiah owners Milagros Gerez, Walja Moody, Linda Boyce, organizer Grand Lindsay, Roxanne Thomas, Elizabeth Daniel, and Dawn Brown. Built in partnership with East Brooklyn Congregations and designed by architect Alexander Gorlin, Nehemiah is composed of prefabricated one-, two- and three-family homes assembled at the Brooklyn Navy Yard. Homeowners put down as little as $8,000 to purchase their houses, which ranged in price from $158,000 to $488,000. When completed by 2016, over 1,525 new homes and apartments will be built on these streets tucked in behind Related Companies Gateway Plaza Mall, Belt Parkway, and two state parks opening by 2014. In September, three new schools will open on a $75 million campus constructed by the Department of Education. Boyce and her fellow homeowners are part of phase one. They work hard daily to ensure their streets, homes and neighborhood stay safe and clean. Linda Boyce shows off her kitchen in a Spring Creek Nehemiah home. Grant Lindsay, an organizer for East Brooklyn Congregations (EBC), knows a tight-knit neighborhood has more power combating local problems. A row of three-family houses on the edge of the development. Construction on phase-two homes has already began. Fifty new homeowners will move in shortly. Block by block, Lindsay works with homeowners to set up monthly meetings. Already they have rallied to make crossing Flatlands Ave. safer for seniors and worked to establish a relationship with the Academy for Young Writers, the high school moving from Williamsburg to East New York this fall. Dawn Brown lives across the street from a football field that serves as a practice and game-day facility for Thomas Jefferson High School. The single mom jokes about her master bedroom being the “mistress bedroom.” Taking pride inside and outside the home, Brown cuts the grass along the practice field fence herself. More than respect, homeownership in Spring Creek Nehemiah reaches spiritual heights. Homeowner Elizabeth Daniel got burned in a Canarsie foreclosure scandal, losing a down payment. Her grandmother instilled in her the goal of homeownership. She started saving again, and received word in 2010 that she had won the right to own a home in Nehemiah. Daniel lives in a two-family with her husband. She loves the bay window and placement on her home on Vandalia St.
“Every day I stop for a moment to thank God for being here,” says Daniel, who works in higher education. “I’m going to make the most of it. We’re going to make sure this place is the best it can be.” Walja Moody came to New York from Alabama. She forgot she applied for a Nehemiah home until 14 years later when the application arrived. A philosophical architect with a conscious, Alexander Gorlin was aware of the importance architecture would have in the community. He and his firm have been working on the project for 12 years. Gorlin’s take on the updated brownstone for middle-class New Yorkers was honored in an exhibition on prefab houses at the Museum of Modern Art. It feels “heartening,” he says, to walk Nehemiah today. Boyce, who has a corner one-family across from the new school, redesigned her kitchen with granite countertops and custom-made cabinetry. She redid her floors a darker wood. Set to open in September, the educational structure will house three schools: the Academy for Young Writers, where 60% to 80% of the students live in East New York and Brownsville; the Spring Creek Community School, which starts at sixth grade, and P53K for special-needs students. The high school’s principal, Courtney Winkfield, sees a link between the neighborhood and the school. For EBC, the drive for quality housing and empowered community is constant. What: Nehemiah Spring Creek, an affordable housing success story in East New York. Phase three homes start at $190,000 with about $10K down. Where: Near Gateway Plaza Mall off Flatlands Ave. Take the 3 train to New Lots Ave. and the B6 to Nehemiah Spring Creek near Linwood St.
How: Go to nyc.gov/hpd for lottery info. For more on East Brooklyn Congregations, go to ebc-iaf.org. A 65-unit supportive housing facility in Brooklyn, N.Y., was completed in record time using modular construction with six stories set in just 12 days. 330 MacDougal Street, Brooklyn, NY. 85 modules forming 65 studio apartments and the supporting public areas, stair towers and elevator shaft of five residential levels above a site-built first level. Client: Concern for Independent Living, Medford, NY, Architect: DeLaCour & Ferrara Architects, Brooklyn, NY. Concern for Independent Living, a New York-based non-profit group providing supportive housing was in need of a new housing facility in Brooklyn, N.Y., for low-income individuals recovering from mental illness. Using modular construction allowed the project to be completed in record time, quickly transforming the property into a residence with 65 studio apartments. The development of this program included the demolition of the existing building and the new construction of the MacDougal Street Apartments. The new building is the first Single-Site Supportive Housing Program in New York State to utilize modular building techniques and provides a model for modular construction in supportive housing. The MacDougal Street Apartment complex is located on the site of a former residential program for adolescents, which closed in 2005. The buildings on the property remained vacant and boarded up, becoming a neighborhood eyesore until the property was purchased by Concern for Independent Living in 2008. The vacant structures were demolished to make room for the newly constructed six-story building. 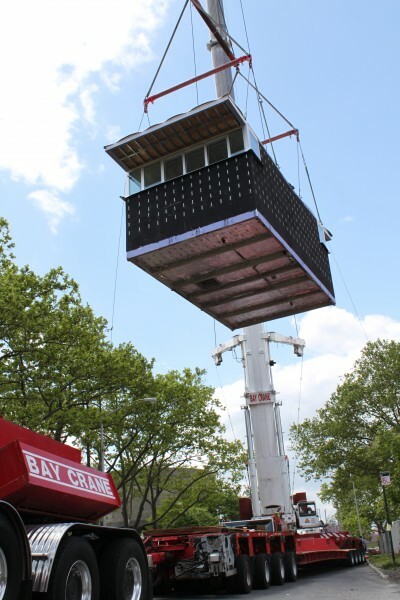 Eighty-four modules were constructed off-site at Capsys Corp.’s manufacturing plant at the Brooklyn Navy Yard. The factory-controlled process moved the construction off site to bring the order and control of an assembly line, minimizing construction waste and site disturbances. Starting with the fabrication of the structural elements, components were added to the modules as they moved through the factory. Windows, doors, MEP systems and fixtures, and trims were all installed along the line. 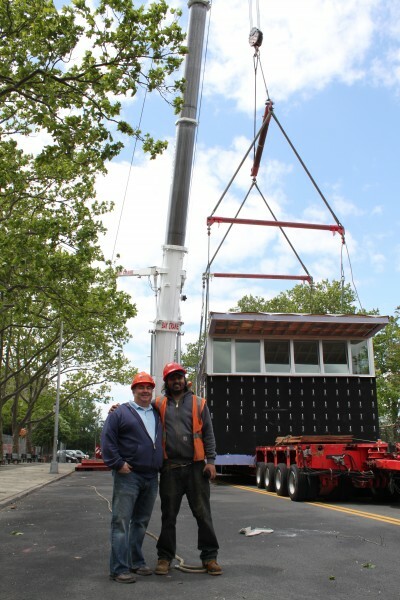 The modules were then wrapped in protective materials and moved to temporary storage awaiting their trip to the building site to become part of the building project. While the site was being prepared and the foundations constructed, Capsys was simultaneously fabricating the modules. When the site was ready, so were the modules. A large hydraulic construction crane was staged at the site, modules were transported in a systematic order to the crane hook and modules were quickly stacked and welded creating a unitized structural whole assembly. The erection process happened so quickly that all six stories were installed in just 12 days. The project was funded by NYS Office of Mental Health and designed by DeLaCour and Ferrara Architects. This apartment building provides safe, affordable housing and on-site supportive services, incorporating many of the latest advances in construction techniques and sustainable features such as Energy Recovery Ventilation, Photovoltaic technology for power generation and substantial reductions in energy use. Residents enjoy their own studio apartment with private bathroom and kitchenette. The building includes a fitness center, computer room/library, laundry facilities, several lounges, and outdoor recreational areas. When Concern for Independent Living purchased the site, they promised to improve the neighborhood by developing an attractive building that is an asset to the community; increasing employment opportunities; encouraging the stability, self-sufficiency and productivity of adults living with mental illness; and increasing affordable housing opportunities for disabled men and women. This project has succeeded in achieving all of these goals. Few, if any, companies can say they built a luxury hotel in less than one year, but that’s exactly what Capsys Corp. of Brooklyn, N.Y., did in 2005. The 30-unit Harborfront Inn features oversized soak­ing and whirlpool baths, spacious showers with floor-to-ceiling porcelain tile and body jets, and balconies overlooking the Peconic Bay and Shelter Island. 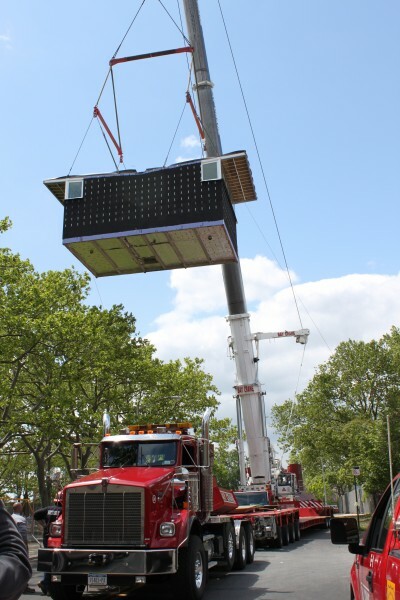 Each module is constructed at Capsys’ Brooklyn factory and designed to interconnect when welded together on site, essentially fitting together like pieces of an enormous jigsaw puzzle. Once that process is completed, contractors put on the exterior finishes and perform mech­anical, electrical and plumbing connections that are fed between the modules. Although standard field construction con­tinues to be the most popular building method, the advantages to modular build­ing are many, McShane points out. For instance, each of the modules is thick-sided, fully enclosed and 90 percent com­pleted before it is delivered to the job site. Constructing the modules in an en­closed factory environment prevents common field construction hindrances such as poor weather conditions, vandalism or theft. “As a consequence, a modular construction project can be completed much faster,” McShane remarks. 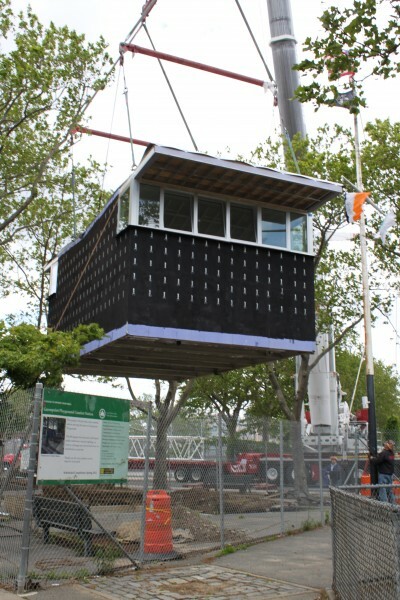 Modular construction has become in­­creasingly popular in a troublesome eco­n­omy where owners want a quick return on their investments and seek to have buildings constructed as soon as possible. As a result, modular buildings are still in demand, even in a recession. “Currently, we’re involved in building a large amount of affordable housing,” McShane notes. Brooklyn’s 330 MacDougal Street is a 65-unit supportive housing project for Concern for Independent Living, a fit group focused on providing housing support for the needy in New York City and Long Island. The six-story, 29,850-square-foot structure utilizes the latest advances in construction techniques, which is something McShane says Capsys is known for. “We pride ourselves on being up to date and knowledgeable about building codes and regulation, upcoming technology and innovations in energy efficiency,” he states. Capsys has produced ENERGYSTAR townhouses and LEED Silver buildings, and often incorporates green building components such as geothermal pumps, energy-efficient lighting fixtures, low-VOC materials, low-flow plumbing fixtures and composite insulation systems. Located in the Brooklyn Navy Yard, Capsys was founded in 1996 by Pres­ident Nick Lembo to build Nehemiah II, 700 homes for the Nehemiah Housing De­velopment Fund Co. The company’s unique approach to this project earned it the “Build New York” and the U.S. De­p­ar­tment of Housing and Urban De­ve­l­o­p­ment’s “Innovation in Housing” awards. 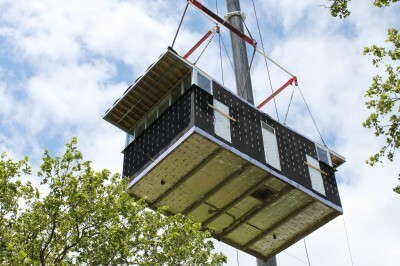 However, its use of modular construction posed a unique challenge in that it built homes faster than land could be­come available, McShane says. Capsys continues to pace itself and seek new applications for modular construction to ensure that it will continue to operate efficiently when the housing market improves. “I see student housing as a market that is not as susceptible to the ups and downs of the overall housing market,” McShane says. BROOKLYN, N.Y., June 1, 2012 /PRNewswire via COMTEX/ — Concern for Independent Living, a leading nonprofit provider of supportive housing, held a ribbon cutting today to officially open The MacDougal Street Apartments, bringing an innovative supportive housing development and more than a dozen new jobs to the Brownsville section of Brooklyn.The project was made possible by support from the NYS Office of Mental Health (OMH), NYS Homes and Community Renewal (HCR), the Federal Home Loan Bank of New York, Astoria Federal Savings, Richman Housing Resources, and New York City.The 65-unit MacDougal Street Apartments is located on the site of a former residential program for adolescents, which closed in 2005. The buildings on the property remained vacant and boarded up, becoming a neighborhood eyesore until the property was purchased by Concern in 2008. The vacant structures were demolished to make room for a newly constructed six-story building.Built using modular construction techniques, The MacDougal Street Apartments is the first of its kind in New York State. 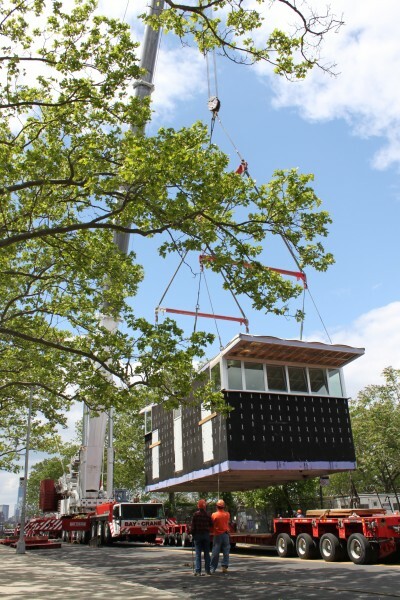 Eighty-four modules were constructed off-site at Capsys Corp.’s manufacturing plant at the Brooklyn Navy Yard, and transported to the project site for “stacking” on the building’s foundation. This technique quickly transformed the property into a residence with 65 studio apartments for low-income individuals recovering from mental illness. The residents include formerly homeless individuals and persons exiting OMH’s state residency system. All units are wired for high-speed internet access, cable and telephone. The building features multiple lounges, a computer room, exercise room, dining hall and outdoor gardens.When Concern purchased the site, they promised to improve the neighborhood by developing an attractive building that is an asset to the community; increasing employment opportunities; encouraging the stability, self-sufficiency and productivity of adults living with mental illness; and increasing affordable housing opportunities for disabled men and women. This project has succeeded in achieving all of these goals.”When you remove an eyesore building, replace it with beautiful housing and create 18 new permanent jobs, there is good reason to celebrate,” said Ralph Fasano, Executive Director of Concern for Independent Living. “The MacDougal Street Apartments does all of that as well as create a beautiful and supportive living environment. I want to thank our partners in government and our not-for-profit and for-profit lenders for making this dream a reality,” he said. The total development cost for The MacDougal Street Apartments was $21.7 million. Financing included 4% Tax Credits issued by New York State Homes and Community Renewal, a grant from the New York State Office of Mental Health, and an Affordable Housing Program grant from the Federal Home Loan Bank of New York. Concern for Independent Living, Inc. is a nonprofit agency committed to helping low income persons and persons with disabilities to live in the community with dignity and enhanced opportunities through the provision of housing and support services. Concern is one of the largest housing agencies of this kind in New York State, currently serving approximately 700 individuals and families in over 200 locations. Concern offers a variety of housing options with individualized support services designed to support personal growth and independence. SOURCE Concern for Independent Living, Inc.
A premier NYC construction manager recognizes the use of modular construction as an innovative construction technique. Capsys is pleased that Plaza Construction has featured the use of modular construction in a presentation of the Building 92 project. Cornell hopes to deliver four new campus buildings by 2017, if funding and costs work out as hoped. When the Bloomberg administration set out to bring a new applied sciences campus to the five boroughs, the goal was to introduce a source of innovation that would help New York City’s economy remain competitive in the 21st century. 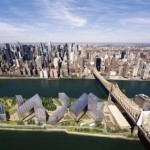 Now, as Cornell University moves forward with plans to construct a $2 billion engineering campus on Roosevelt Island, innovation remains the project’s watchword. That trailblazing philosophy will extend to awarding construction and design contracts for the planned two million s/f on new space, according to Kyu Whang, the university’s vice president for facilities service. Modular, pre-fabricated construction is “absolutely” an option for the project, Whang told attendees of NAIOP’s “Building the Future of New York City” forum earlier this month. “If it’s an innovative way to do construction, then certainly we’ll consider it on our campus,” he said, responding to a direct question about the controversial practice of staging some construction work for a project in an off-site factory. Modular building is still uncommon in New York, but Forest City Ratner plans to start construction on the world’s tallest pre-fabricated steel building in Brooklyn this year. Whang’s comment was in keeping with one of the themes that emerged during the morning-long event, held overlooking the World Trade Center construction site: the idea that New York City builders are out of date. Seth Pinsky, chairman of the Economic Development Corporation, said that the city’s building methodologies were “decades behind” other cities in the world. Even by national standards, New York construction may be too slow and costly to attract some industries, said Pat Di Filippo, executive vice-president of Turner Construction. Di Filippo described the pressures of time and efficiency faced by a major technology company like Apple or IBM (a Turner client) when launching a new product. “Construction, facilities — those are just a drag on the bottom line,” he said. Fast, efficient building is one of the things Cornell will be looking to accomplish on Roosevelt Island. The Ithaca-based ivy school is contractually obligated to deliver two buildings by 2017, but it has a more ambitious goal. If funding and costs work out as hoped, Whang said, Cornell hopes to complete four buildings by that deadline. Cornell is looking for a developer to enter into a partnership to construct its second Roosevelt Island building, a research and development facility. That developer will need to be comfortable with Building Information Management (BIM) software, Whang said. Construction professionals are not the only people Cornell wants to push into new frontiers. Architect Thom Mayne of Morphosis is designing the first piece of the campus, a 150,000 s/f, net-zero energy academic building. Mayne, who was behind the Cooper Union academic building at 41 Cooper Square, is expected to deliver the first design drafts in November 2012. The university expects the design to break from the academic tradition of long corridors of offices and classrooms, and instead create a building of open, collaborative space with very few private offices, Whang said. While resistance from tenured faculty can prevent universities from experimenting with floor plans, Whang said, there is an advantage to launching a completely new academic program on a completely new campus. “We’re building the building before we have the faculty,” he said. Cars are built in a controlled environment and are customized to meet the end-user’s needs and requirements. At Capsys, with our Greenflex residence hall system we apply the same concepts! We start with the basics; what are the student housing requirements, what does the school need and when do they need it? We go to the next step; what is the culture and what are the features we need to incorporate into the Greenflex system? We finalize a plan; let’s combine the requirements, the schedule, the culture, the features and of course the budget. A plan is born; All this done and the Greenflex design becomes unique but budget and schedule conscience! We get it done! That’s the end result, the Greenflex system from Capsys gets the job done! No need to worry about where the students are going and what the cost is, let’s do it together with this innovative Greenflex system! It’s built to your needs, based upon your budget and on your schedule! Right-size the equipment – The Capsys engineering team always verifies that we are installing the appropriate mechanical equipment. Oversizing equipment leads to not only additional costs upfront but also short-cycling and reduced efficiency. Getting the correct size equipment means higher efficiency and lower overall costs and consumption, its proven and we embrace it! Seal the gaps – Such a tremendous source of heating and cooling costs come from air infiltration, if a building is properly sealed and the design accounts for occupant health then we have a healthy building, person and energy budget. We make sure to account for not only the cost of conditioning but also the health and comfort of the people living inside the building. Indoor air quality – The environment inside the building is paramount to the health and productivity of the occupants, we don’t take all the buzzwords and just follow them, we actually make sure the job is done right. Education – Talking about sustainable design doesn’t do anything, acting on it does! Capsys ensures that each of our team, from project management to installing professionals understands WHY we are doing something, when people understand the reason for a measure they take extra care in providing and ensuring its effectiveness. Always keep everyone from the designers to the end-users informed, it does make a difference! It’s a great day here at Capsys and even better if you need to use a rest room in Greenpoint. 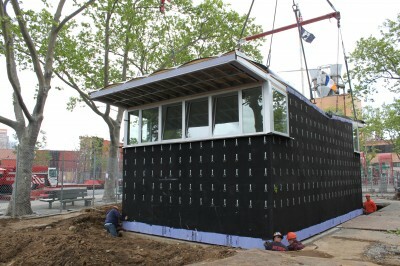 We just delivered and set our 600 sf prefabricated comfort station to the Greenpoint Playground in Brooklyn, NY. Check out some pictures from today’s setting! Let us know what YOU think. Does the city need more public restrooms? It’s always a treat for us to read about how another country has adopted modular construction to tackle their own unique construction requirements. The following article is from the Australian web site “Construction Source” and was authored by John Rouvalis who is an Associate Director with the international Engineering company the Meinhardt Group. In it, John urges his peers to discover and to fully appreciate all of the attributes that modular construction can bring to a project.